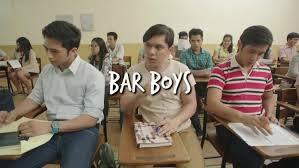 Bar Boys is a 2017 Philippine comedy-drama film directed by Kip Oebanda under TropicFrills Film Productions in cooperation with Wild Sound Studios starring Rocco Nacino, Carlo Aquino, Enzo Pineda and Kean Cipriano. 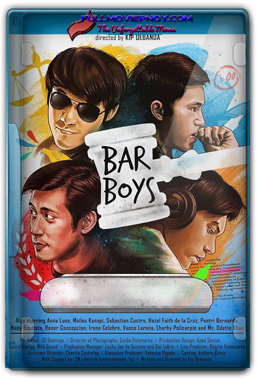 A group of friends, Christian (Enzo Pineda), Erik (Carlo Aquino), Joshua (Kean Cipriano) and Toran (Rocco Nacino), enters law school together. Their friendship is tested as they face the challenges of law school and prepares themselves for the bar examinations. The misadventures of 3 young men who try their luck in the college of law. As their friendship, families, relationships and convictions are brought to breaking point, they must keep their heads together as they prepare for the big day.